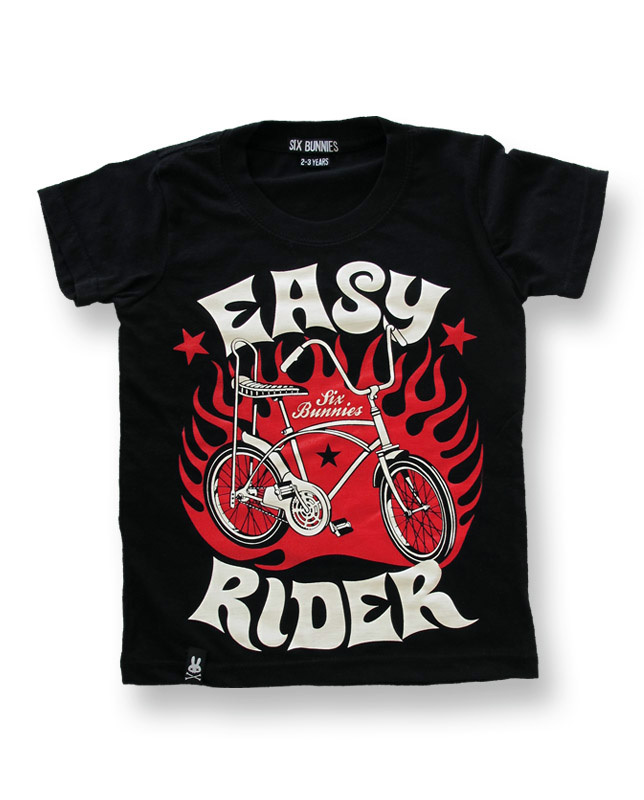 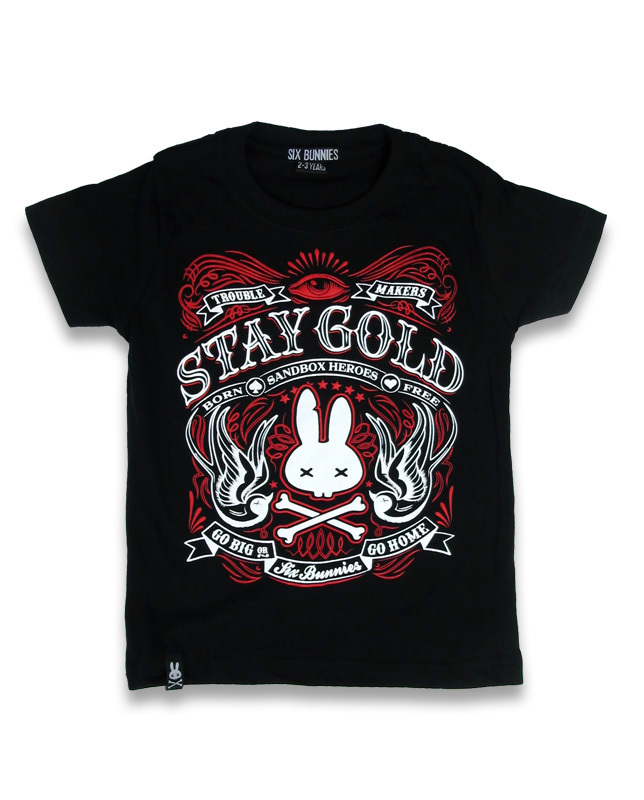 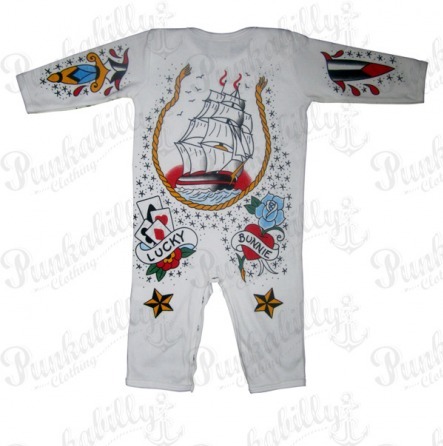 Make your little riser feel the full rock and roll in this cool baby onesie. 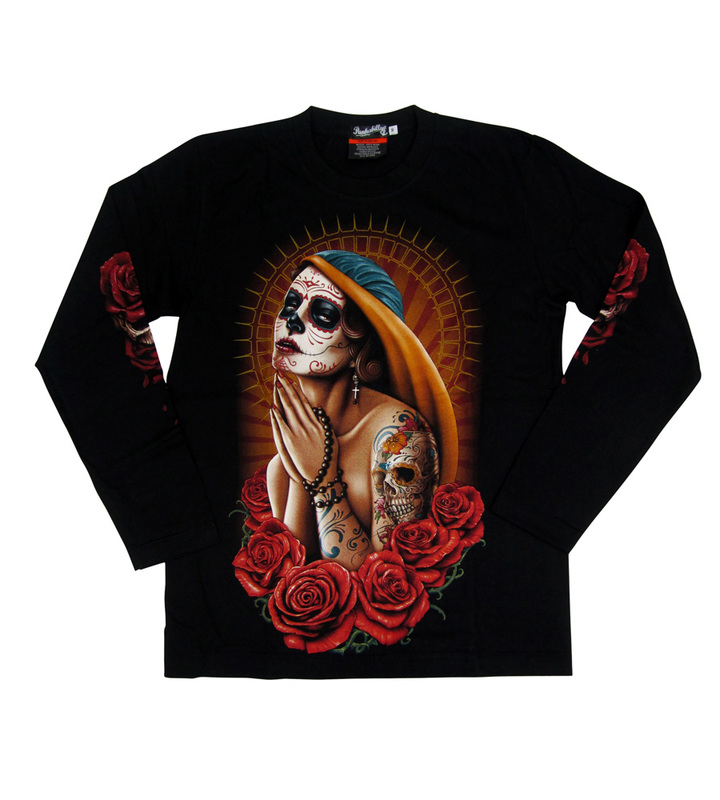 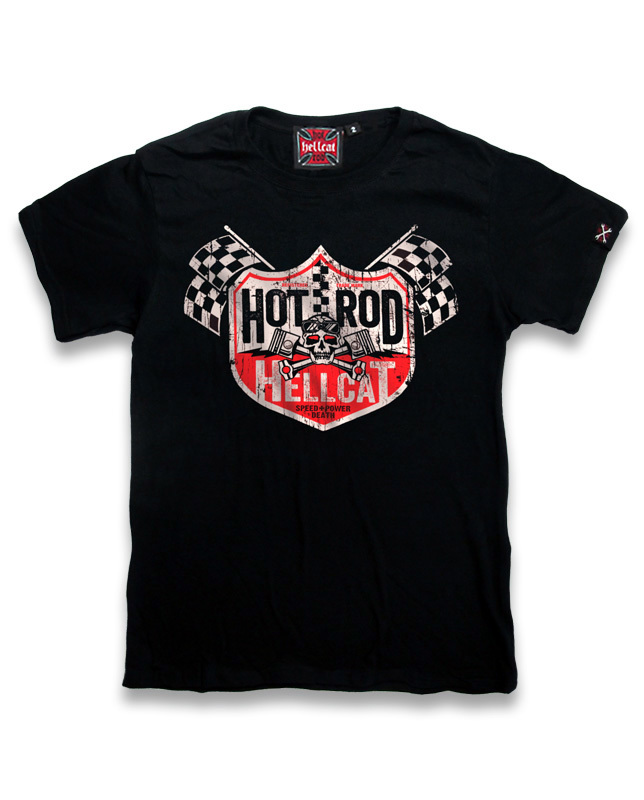 Long sleeved to keep him warm and printed on both sides in rockabilly style to keep him awesome. 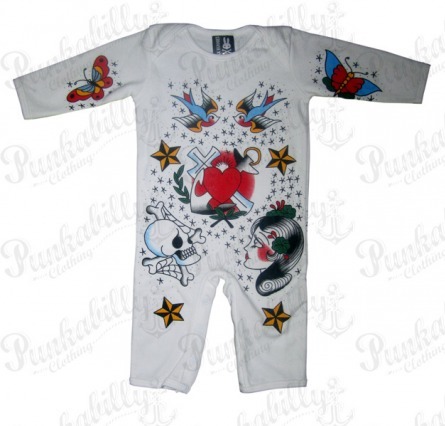 With a printed skull, hearts and birds, your baby will feel the true old school spirit.